and fighting with your gun. In contact there is control and with stability, speed. 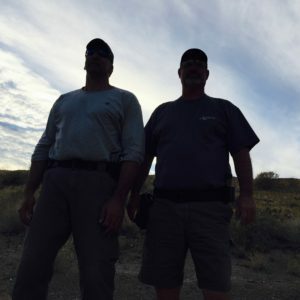 Join one of the most-decorated Professional Competitive Shooters, Rob Leatham, and Non-ballistic Weapons Expert Steve Tarani, for a rare block of training in how to shoot faster and more accurate than the bad guy (Leatham) and manage a violent physical threat under extreme duress (Tarani). Filling the void between hand-to-hand combatives and firearms competency, Hand-to-Gun bridges the gap between the two. Critical to the development of your defensive skills, the purpose of this course is to provide you with functional hand-to-hand combative techniques, optimization of your shooting performance and the skills plus confidence needed to utilize either, or both, in the event of an active threat. The course initially focuses on the core principles and techniques of personal defense against a violent physical attack at extreme close quarters. In certain circumstances, you may initially be unable to access, or deploy, your firearm based on threat and/ or environmental conditions. The course presents how to handle this situation. Your training then seamlessly progresses into enhancement of your on-demand shooting performance, optimizing the usage of your handgun as a defensive tool. In all there are fourteen factors that affect your performance in firearms response to an active threat. Each factor has a time element which determines tactical advantage. Hand-to-Gun addresses each of these factors and reduces their time elements to give you the tactical advantage. The average personal attack unfolds in under two seconds. Response time is measured at an estimated 4.0 seconds from awareness to first round on confirmed threat from concealment. Do the math! How can you go from threat recognition to first round downrange in the least amount of time? 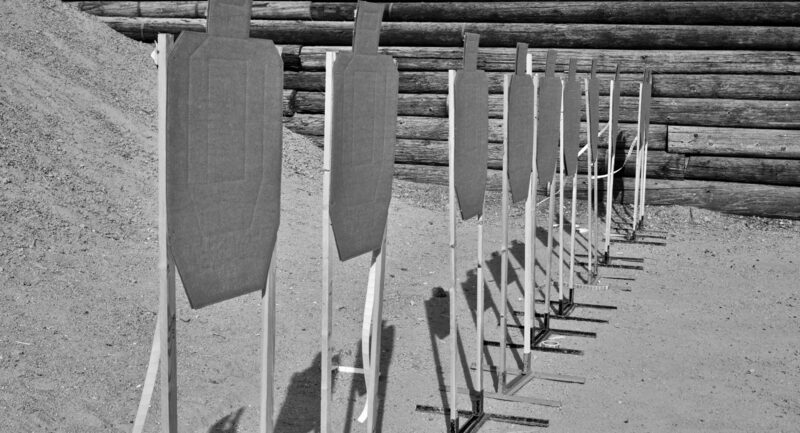 How can you develop the critical fundamentals of handgun shooting as applied to your own personal defense? You will find the answers here from the very best in the business. Although NOT a competition handgun shooting course, any real-world operator will tell you that the fundamentals of shooting fast and accurate are what make you effective. What if you’re under attack by multiple assailants armed with guns, edged or impact weapons and you can’t get to your gun in time or can’t even take the shot? Even if you can get to your handgun, what are the dynamics of personal defense needed to make combat effective round placement in the shortest amount of time with the least amount of movement at close quarters? Take advantage of this unique opportunity to learn what the professionals know about personal defense! Brought to you by the two most celebrated experts in their respective fields – Rob Leatham and Steve Tarani – the same guys hired to teach US. Tier One government assets. Designed for entry-level shooters, this multi-day training program presents the fundamentals of shooting fast and accurate to include the dynamics of personal combatives defense. Initiated into the shooting process, you will be introduced to and run drills on, the core components of how to develop fundamental combat speed, accuracy and control of your firearm. The combatives components integrate your new hand-to-hand skills with your new gunhandling and marksmanship skills. Initially run wth blue guns in the classrom, your live-fire range training is designed to convert your classroom skills to meet the demand of increased performance in rapid and accurate combative round placement. Building upon your 101 skills, this intensive provides the personal understanding and performance building blocks needed for those seeking to raise their performance level. Following your initiation into the fundamentals of rapid and accurate shooting, this intensive takes you further down the rabbit hole of world-class gun handling and marksmanship. Focus is placed on mastery of the pre and post ignition components required to develop speed and accuracy under more complex shooting conditions. Skill is developed with a solid understanding of a vetted process. 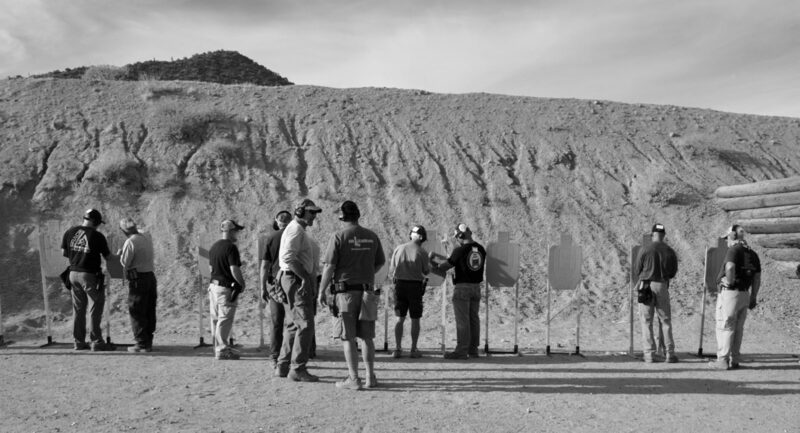 The objective of this upper level program is twofold - to raise your level of understanding of the shooting process, while simultaneously raising your level of performance to meet your new level of understanding. Next-level combatives are layered atop your 101 fundamentals and further integrated into your live fire training to reinforce your upgraded understanding and develop your performance. As a graduate of HTG 202, you will be one of a select few to attend this semi-private tutorial presenting the minutiae of increasing your speed and accuracy while controlling the dynamics of personal defense. At the graduate level you now understand the critical importance of following the process in allowing you to manage time and movement down to the hundreth of a second. This tutorial is about YOU specifically. YOUR understanding and YOUR performance. 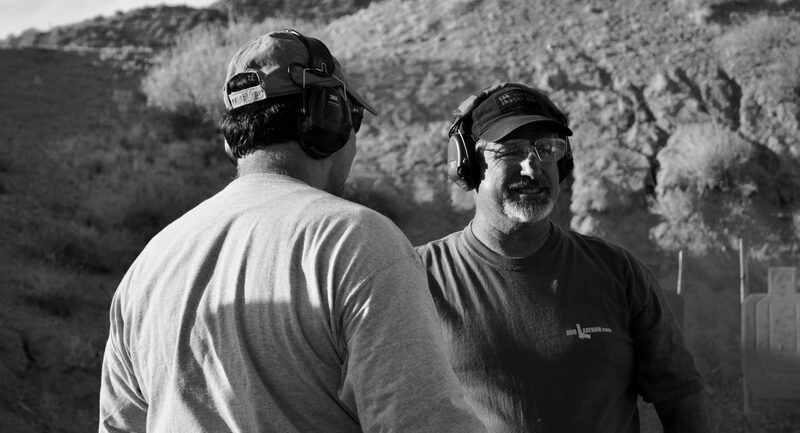 You will receive one-on-one performance enhancement instruction on how to remove those nagging elements preventing you from executing flawless performance and gain optimal control of your firearm under extreme duress.